An ambitious general receives a prophecy that he will one day rule the land. Spurred on by his ambitious wife, he kills his master, moves to assume power, is plagued by guilt and paranoia, and winds up snuffing it before he ever takes the throne. 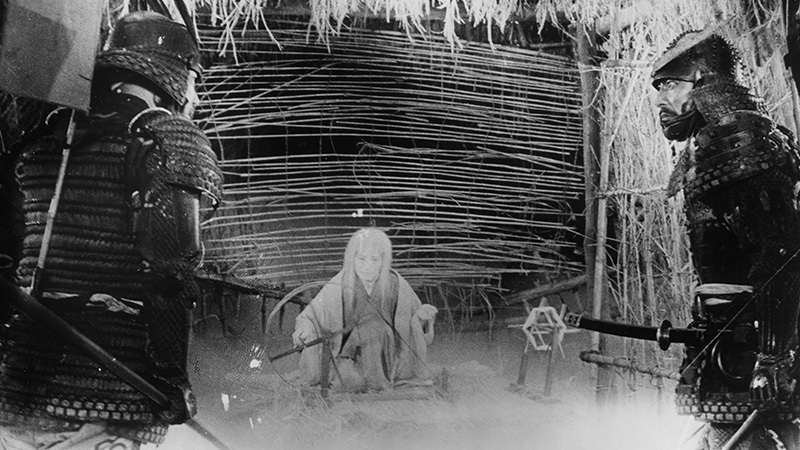 So yes, Akira Kurosawa's “Throne of Blood” (1957) is an adaptation of Shakespeare's “Macbeth,” but one that cuts out almost all of the dialogue, transplants the action to feudal Japan, and replaces the conventions of Elizabethan theater with those of Japanese Noh. 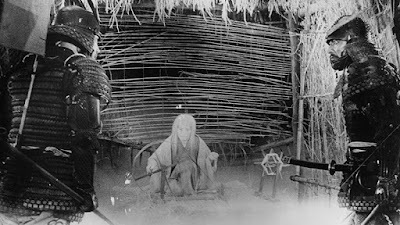 So “Throne of Blood” isn't exactly an adaptation of “Macbeth.” Rather, it is most distinctly a film by Akira Kurosawa. The movie opens on a desolate, fog-enshrouded rocky landscape populated only by a forlorn wooden marker indicating that a great castle once stood here; a chorus underscores the Ozymandias-like quality by reminding viewers to “behold the ruins.” When the music stops (and we've jumped back in time a few centuries), there's nothing but fog and a howling wind until a tiny figure on horseback finally wavers into view. The film maintains this Spartan look throughout, a gallery of empty spaces, ruined landscapes, and lengthy silences. Raging against the void comes Toshiro Mifune in high dudgeon as General Washizu who, along with his Banquo-like friend General Miki (Minoru Chiaki), wanders through a labyrinthine forest that insists on funneling them to a specific clearing where they encounter the spirit (the eerie and effective substitute for Shakespeare's three witches) who seals their fate simply by revealing it to them. From this point on, it's clear that even (and especially) these most powerful of men are just puppets or, more aptly, fools embracing the illusion that they are masters of a world that views them as little more than a punchline in the cosmic joke. And perhaps not even that. Oddly enough, the vain, ambitious Washizu appears sensitive to this aura of inevitability too. Mifune rants and raves as he hacks his way closer, but never close enough, to power, yet he is plagued by doubt and shame even before he crosses the line into cowardly treason. It's as if he's already read the script, even the parts the spirit hasn't related to him, and prepares himself for the inevitable, perhaps buoyed by the thought that, at the very least, he will be granted one of the greatest death scenes in movie history. Dialogue is pared down massively with dramatic emphasis given over to music (piercing flute and percussion) and the tightly controlled physical performances typical of Noh theater that Kurosawa loved so much. Even the volcanic Mifune moves with a choreographed deliberation distinct from his more feral performances, and his scheming wife Asaji (Isuzu Yamada) sometimes looks like a statue with her rigid posture and chalky mask. The stark black-and-white photography by Asakazu Nakai is never less than breathtaking, as are the blighted sets built, with great difficulty, on the slope of Mt. Fuji. It's a world of mud and crumbling rock and rolling fog banks, a nature that rejects its most misguided creations and has no patience for their silly game of thrones. Kurosawa never created a more seductive atmosphere, and “Throne of Blood” goes down as one of the greatest “lost cause” movies ever made. Just enjoy the ride along with the doomed protagonists. It's OK, they deserve it. The film is presented in its original 1.37:1 aspect ratio. Like most new Criterions, this is a dual-format release, meaning that you get two separate discs, one with a SD-DVD copy, the other with a high def Blu-ray transfer. Only the Blu-ray is reviewed here. Damage, however, is fairly modest and doesn't detract from the impressive look of this 1080p image. The original Criterion SD, released ten years ago, was just fine. This is several steps above fine. The LPCM Mono track really sounds great. It's not very dynamic, but isn't meant to be. The sharper musical cues come through very clearly and the slightly hollow sound enhances the mood of the film. Viewers are given the option to select between two different English subtitle options. The first (default) option is subtitled by scholar Linda Hoaglund, the second option is subtitled by the late, great scholar Donald Richie. 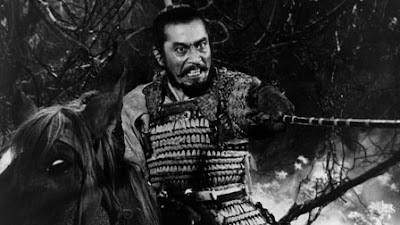 There are significant differences between the two options, an indication of the latitude translators always take, and the particular challenges represented by the highly stylized, idiosyncratic dialogue in “Throne of Blood” that isn't necessarily best translated in a the most literal fashion. 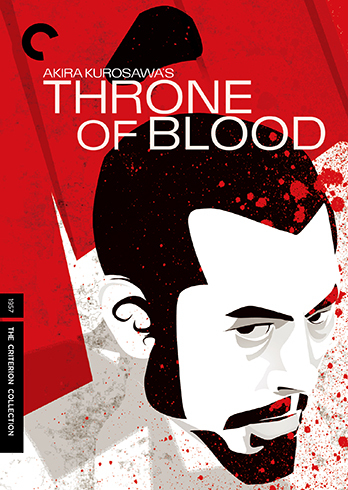 Criterion has added one Extra not included on its 2003 SD release of “Throne of Blood.” We get yet another installment of the apparently sprawling Toho Masterworks series, “Akira Kurosawa: It Is Wonderful To Create” that has appeared on so many of Criterion's Kurosawa releases. 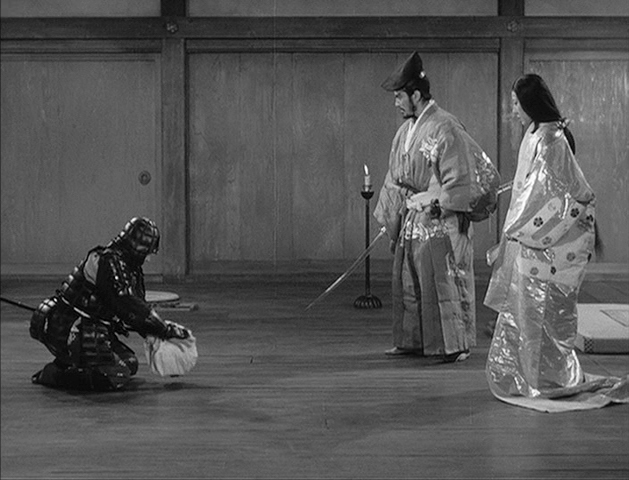 This 23-minute excerpt from this massive series addresses “Throne of Blood” and heavily relies on an interview with the director. Repeated from the 2003 SD is the commentary track (recorded in 2002) by Japanese-film scholar Michael Jeck who offers a wealth of information in a style that finds a happy medium between the conversational and the academic and should appeal to most listeners. The only other extra, also repeated from 2003, is the four-minute theatrical trailer. I'm always surprised when “Throne of Blood” is described as being second-tier Kurosawa. It's never meant as an insult since his second-tier is above most first-tiers, but only to suggest that it isn't one of his very best films. I disagree vehemently. It's top three Kurosawa for me, though perhaps I am biased since this was my introduction both to Kurosawa and to Japanese cinema. Criterion's new high-def transfer is a real thing of beauty. Extras are somewhat sparse, but it's still a must-own for any fan of the director. For another adaptation of the Scottish play, see Roman Polanski's groovy, grimy take.